Whereas it has been demonstrated that phenomena linked to climate change are among the main causes of populations movement, it is also true that these people do not belong to any well-defined category of subjects of international law that can guarantee their protection. It has been reported that between 2008 and 2014, sudden-onset disasters, such as the Haiti earthquake of 2010 or Typhoon Haiyan in the Philippines of 2013, caused the displacement of 184 million people, with an average of 26.4 million people leaving their homes per year. In 2013, people obliged to flee their habitat by disasters were almost three times as many as those forced to flee their homes by conflicts. It has to be noted that numbers of people are excluded from this statistic such as those who had to move due to of the effects of rising sea levels, desertification, and environmental degradation. All of which are not considered disasters because of their very slow nature. The United Nations Office for Disaster Risk Reduction (UNISDR) recently presented a new analysis emphasising that 2015 was the hottest year on record. Last year 98.6 million people were affected by disasters and, according to UNISDR, “Climate was a factor in 92% of those events.” The natural disasters producing the greatest impact were droughts: in comparison to the ten-year annual average, drought rates have more than doubled in number, affecting 50.5 million people, particularly in Africa. Floods were the phenomenon that had the second greatest impact in 2015. Scientists agree that climate change, in combination with other factors, will cause an increase of people displacement in the future. Moreover, according to the IPCC report, “Displacement risk increases when populations that lack the resources for planned migration experience higher exposure to extreme weather events, in both rural and urban areas, particularly in developing countries with low income.” It has been reported that 97% of disaster-related displacement, between 2008 and 2013, occurred within developing countries. In addition, climate change is also expected to have an indirect impact on increased risk of violent conflicts, such as civil war and inter-group violence. While it is clear that climate change produces a serious impact on migration and displacement, it is also true that it is quite difficult to identify a direct link between the two phenomena. The reason is that different communities perceive the impacts of climate change differently, depending on their political, economic and social conditions. Their ability to cope with the same type of sudden or slow-onset disaster and their resilience are therefore different. This obviously affects people’s mobility decisions. It is more common that displaced people affected by a sudden or slow-onset disaster stay within the borders of their home country. In this case, the state has the obligation, under national and international law, to respect their rights and to protect them. On the other hand, when they move to a foreign country, there is no specific legal instrument that regulates how these migrants have to be treated for what concerns their permission to stay and their protection. Two main international legal instruments exist with the aim of protecting the rights of people who move to a foreign country for different reasons: the Convention relating to the Status of Refugees (1951) and the International Convention on the Protection of the Rights of all Migrant Workers and Members of their Families (1990). Refugees are a very precise legally-defined category of people including anyone who, “Owing to well-founded fear of being persecuted for reasons of race, religion, nationality, membership of a particular social group or political opinion, is outside the country of his nationality and is unable or, owing to such fear, is unwilling to avail himself of the protection of that country.” When a sudden or slow-onset disaster happens, only if the state discriminates against some specific group of people in giving assistance, can those people who do not receive protection be considered as persecuted and therefore entitled to international protection. In the same way, if the disaster is caused by some action or inaction imputable to a discriminatory attitude by the state towards a particular group of people, these people could fall into the refugee category. 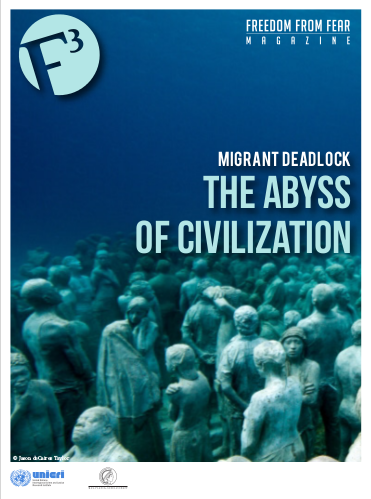 However, migrants who cross borders for reasons connected to climate change and cannot demonstrate persecution by the criteria defined in the Convention cannot be considered refugees. This is why the term “environmental refugees” is not legally correct (although it stresses very well the need of protection of this category of persons). On the other hand, a migrant worker is defined as anyone who is not compelled to move but does so to conduct “a remunerated activity in a State of which he or she is not a national.” Even if some decide to live and work in a foreign country do so as a consequence of the impact of climate change on their country of origin, it does not mean that they are entitled to international protection. In addition, the Convention does not guarantee the right to be admitted to or stay in a foreign country. In general, International Human Rights Law obliges all States to respect and protect human rights of all people within their territory or jurisdiction, even those who are not citizens of the state. If people do not fall within the refugee category, but face risks such as arbitrary deprivation of life, torture, cruel, inhuman or degrading treatment or punishment, then they can enjoy the so-called “complementary protection” by a foreign state and avoid being forced to return to their home country. However, complementary protection does not seem to be the right solution for people moving due to of the impact of climate change. In fact, courts have ruled that poverty and lack of resources do not correspond to inhuman or degrading treatment (unless the situation is imposed by the state), and that the harm feared has to be relatively immediate to be a condition for protection. As a consequence it is not likely that people fleeing from disasters, and even less those escaping slow environmental degradation, could enjoy this kind of protection. Indeed, in 2014 two cases involving some small island-states’ inhabitants asking for international assistance on the basis of complementary protection were rejected exactly because of the lack of immediate danger. 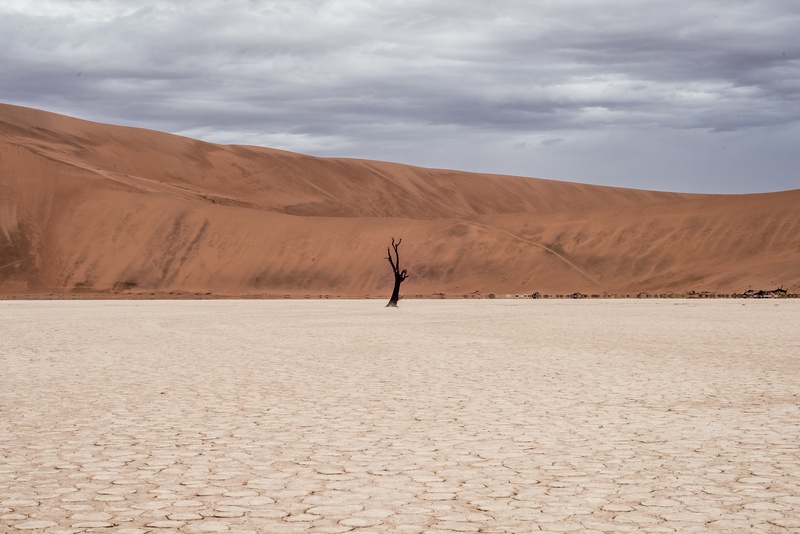 In short, international human rights law does not address the issues of people’s admission to and stay in a foreign country following a sudden or slow-onset disaster connected to climate change. However, the international community is in the process of identifying a practical solution to this legal protection gap. It seems that for the time being an international convention is not feasible: it would need complex negotiations and would take time. However, many other tools can be used to address the issue, such as developing and sharing good practices, and adopting soft law instruments, like bilateral and multilateral agreements and context-specific policies informed by human rights principles. The Nansen Initiative, for instance, is a state-led consultative process led by Norway and Switzerland aimed at building international consensus on a protection agenda to address the needs of people displaced abroad following the impact of climate change. The Agenda for the Protection of Cross-Border Displaced Persons in the Context of Disasters and Climate Change (Protection Agenda) was endorsed by 109 governmental delegations during a global intergovernmental consultation in October 2015. The Agenda explores the potential measures that States may voluntarily adopt to address the protection and assistance needs of persons displaced abroad by disasters, such as admitting them on the bases of humanitarian considerations and international solidarity. In parallel, the Agenda also identifies effective practices to manage disaster displacement risk in the countries of origin. In September 2015, at an historic UN summit, the 2030 Agenda for Sustainable Development was adopted, including 17 Sustainable Development Goals (SDGs) that universally apply to all. These goals aim to end all forms of poverty, fight inequalities, tackle climate change and improve environmental protection. With the 2030 Agenda for Sustainable Development, it was finally recognised that climate change is already affecting public health, food and water security, migration, peace and security, and there are some specific goals that address these impacts. Moreover, with the historic climate agreement reached last December in Paris, the international community in its entirety has further demonstrated its concern about the issue of climate change and its willingness to enact an effective response to the threats it poses to the world’s population. Hopefully, this is particularly a positive moment to address the issue of the international protection of people displaced by the impact of climate change, in a framework of multi-level cooperation and solidarity. Elena Piasentin holds a B.A. in Political Science and International Relations from the University of Padua, with a specialisation in Human Rights. She recently received a M.A. in Human Rights and Multi-level Governance from the University of Padua, with a thesis on the right to education in emergency situations, especially focusing on the provision of education in Haiti after the earthquake of 2010. She is currently doing an internship at UNICRI Public Information Department.